Best of 2006 images with captions. 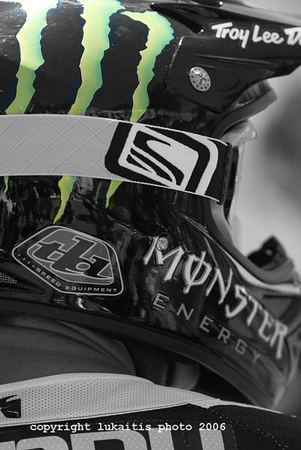 When Doug Henry made his return to Southwick this season it was with Monster Energy sponsorship. I liked how the green M stood out on his helmet so I photoshopped all the color out except for the green M logo. Subscribe to receive emailed updates.